1. 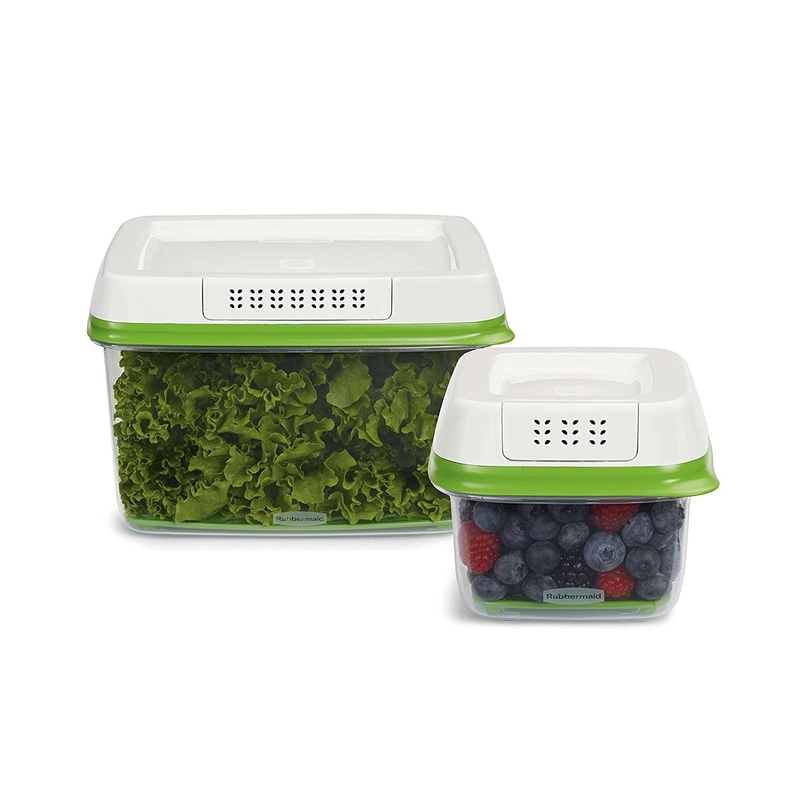 A filtered produce-saver container that actually does keep berries, lettuce, cucumbers, and all sorts of fruits and veg fresh for two full weeks. I tested them a few months ago — and wrote a full review — and still use them and love them. Promising review: "I wish I would have gotten these sooner. 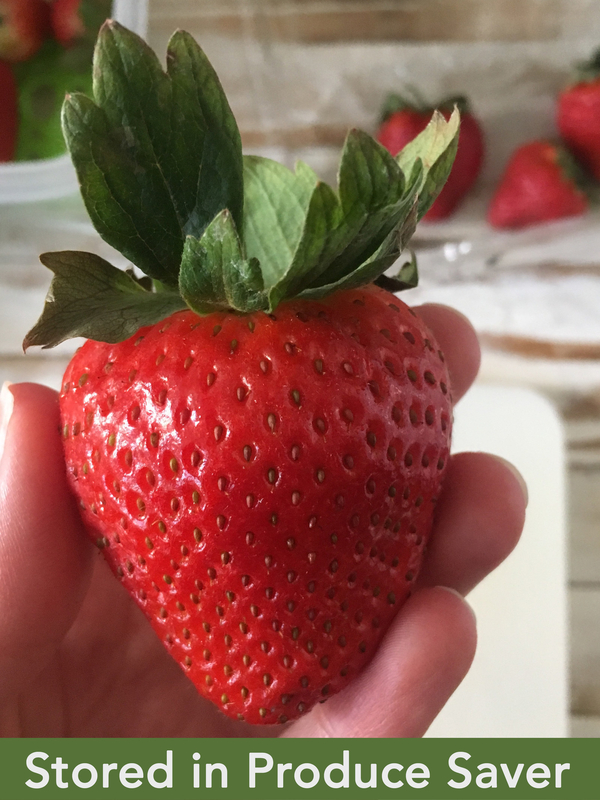 I bought strawberries for my children, and then I forgot about them. I found them in the back of the refrigerator almost TWO WEEKS later, and they were still good. The real miracle is how long it keeps zucchini. Zucchini starts to get mushy in the crisper drawer after just a few days. Again, these miracle containers have kept it fresh for close to two weeks now. They come in a variety of sizes; you can get a set of two (one large, one small) on Amazon for $14.99. Get a pack of 8 big sheets on Amazon for $9.99. 3. A fresh herb keeper that makes storebought or freshly-cut herbs last for up to ten days longer than they would have otherwise. Assuming you store it in the fridge, of course. 4. 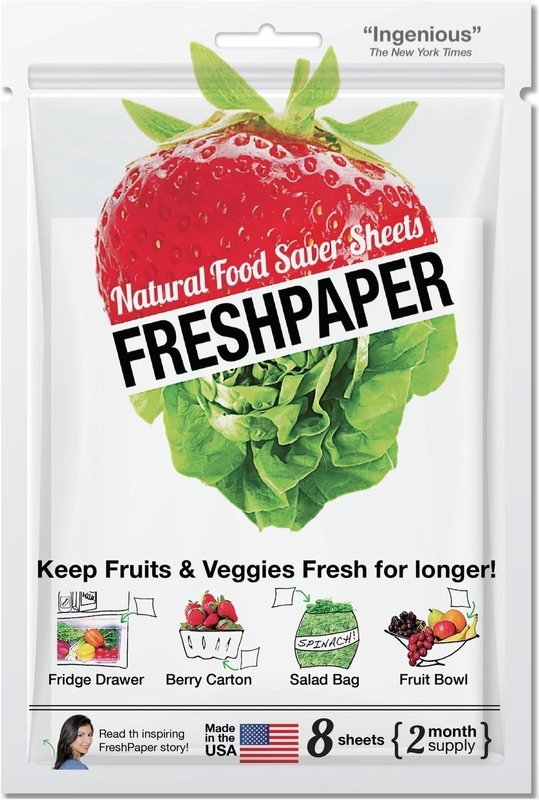 A pack of reusable, flexible wraps to help you prolong the life of your partially-used produce without reaching for disposable plastic wrap or plastic bags. One of our writers reviewed this and loves it! 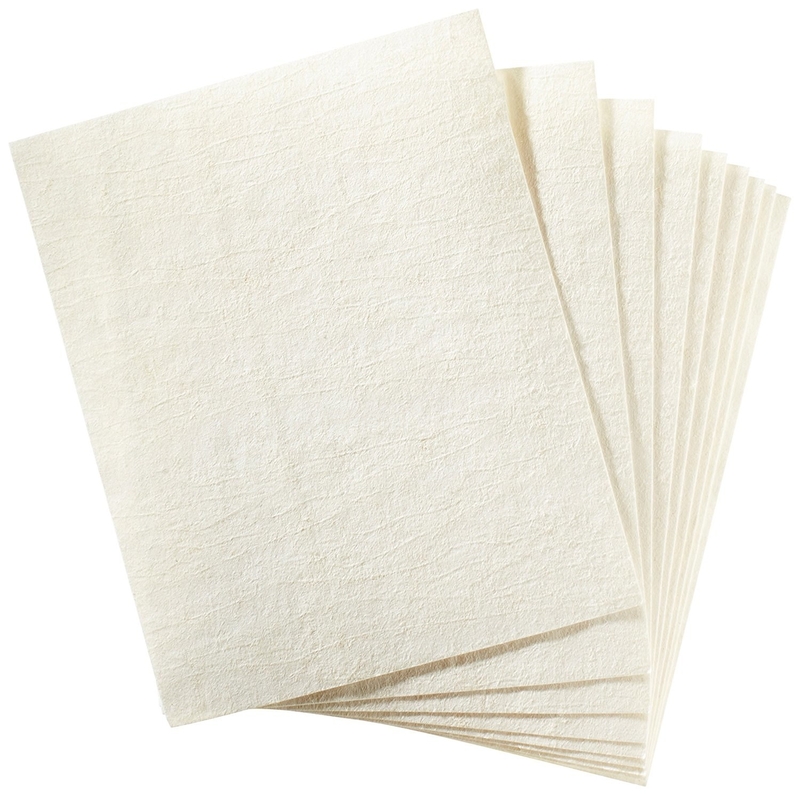 It's made out of organic cotton, covered in a blend of beeswax and jojoba oil, among other things, and is completely compostable at the end of its life (it can last for up to a year). Get a pack of three (one sheet each small, medium, and large) on Amazon for $18.99. 5. 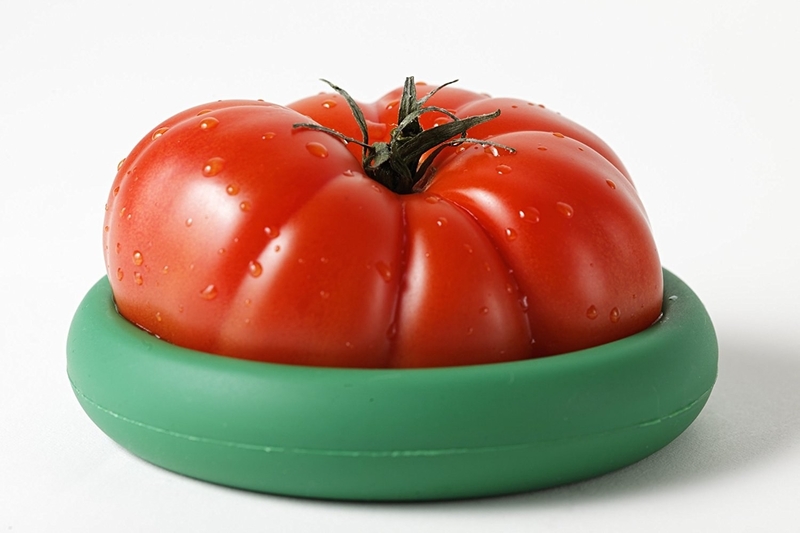 Or a set of silicone Food Huggers that'll cuddle up to your cut produce in ways that plastic wrap never could even dream about. 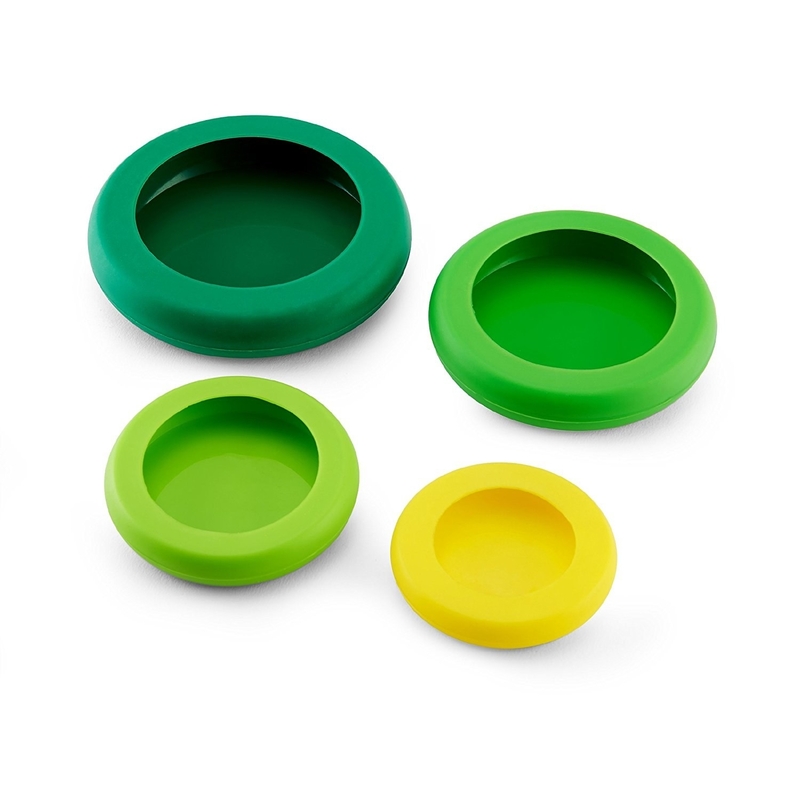 Yes, they are made of silicone (a plastic) themselves, but they're super durable and nearly infinitely reusable. And you can use them to top off mason jars, small Tupperware containers, and that half-empty can of beans, too! Get a set of four sizes on Amazon for $9.95. 6. 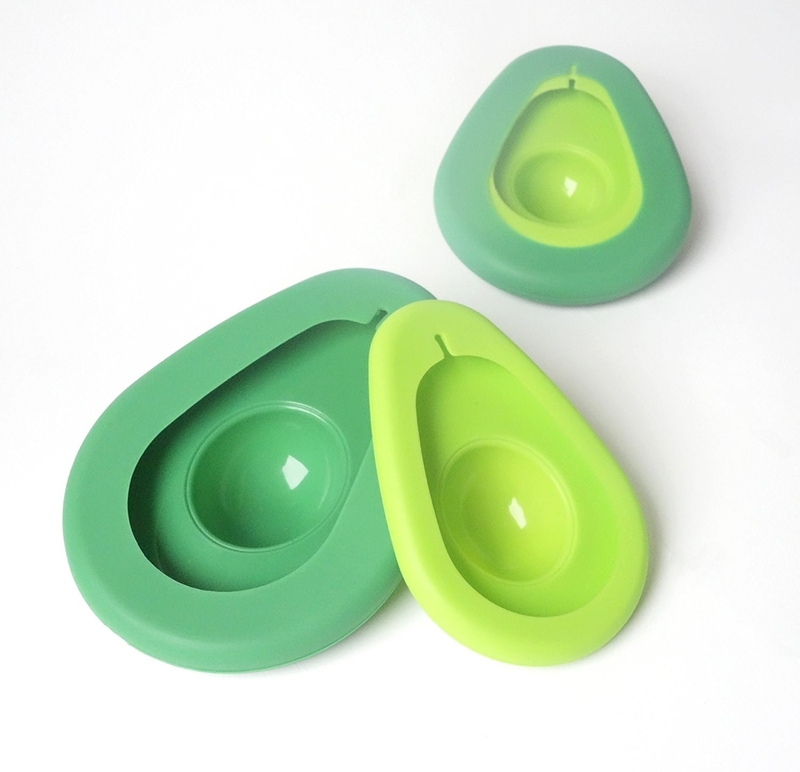 And one specifically-made Food Hugger — it actually does a decent job protecting leftover avocados from that dreaded oxidation. 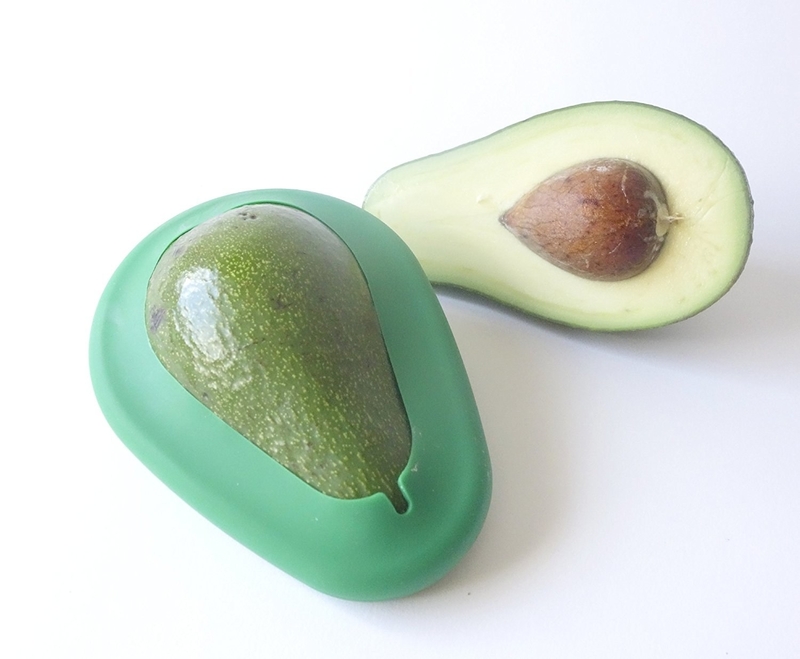 It comes with two different sizes for the "pit" so it'll work for each and every avo you throw at it. 7. 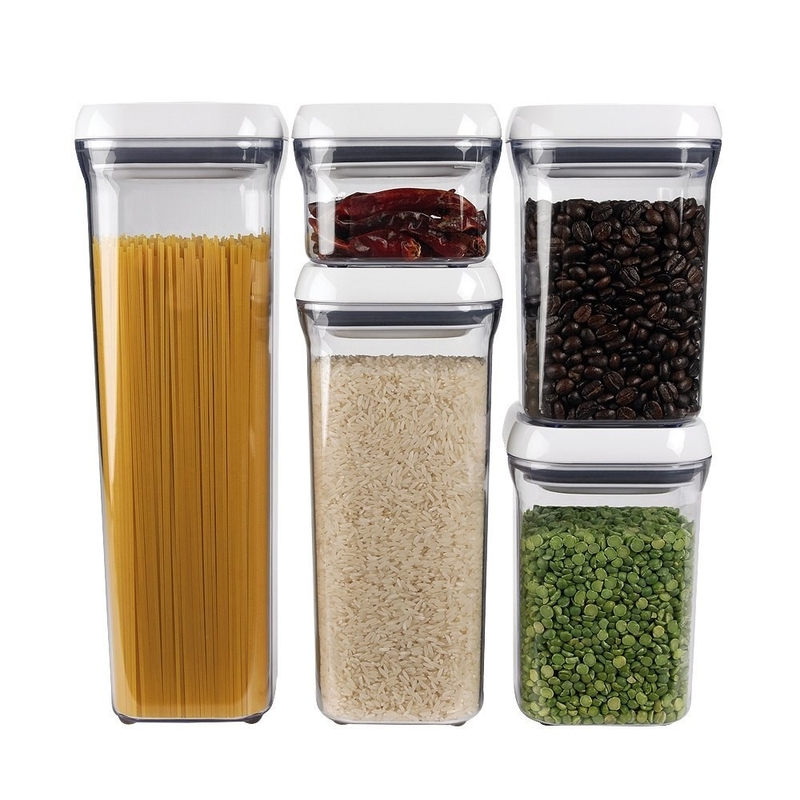 A pack of five air-tight dry goods containers to keep pasta, flour, beans, cookies, and whatever else you have in your pantry taste as fresh as the very first day it came from the grocery store. I, for one, have had flour go stale more than once, and wished I'd put it in such a container. Promising review: "I love these! They are really air-tight and keep your products fresh. They're attractive. It's fun to look in your cabinets and see them. I keep smaller ones on my counter filled with nuts, dried fruits, etc to make enticing additions to the morning oatmeal. They are expensive but I am so glad I chose these. It is fun to have things that look nice and work well in my kitchen." Get the set of five for $47.95, a specific container for pet food for $12.99+ and a set of three cereal dispensers for $49.99, all on Amazon. 8. 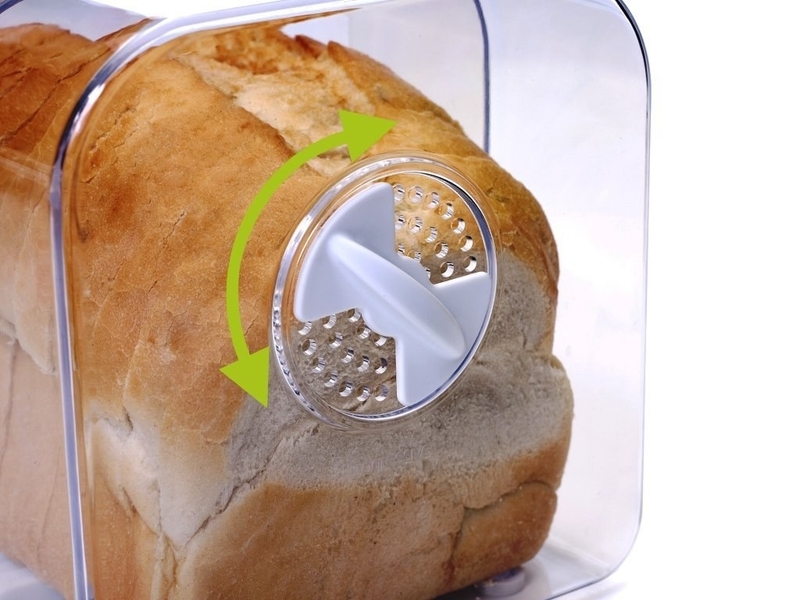 A ventilated, expandable bread keeper so you can always enjoy perfectly fresh-tasting carbs no matter how many days its been since you bought or baked your loaf. Well, it does matter a little bit; this makes bread last longer, but not forever and ever. If you're in a dry climate, close the vent to keep the bread moist; humid climate-dwellers should open the vent to prevent mold. It also expands or contracts to fit your loaf, and comes with a handy little cutting board. Promising review: "Love, love, love this box! No longer are we ditching bread! Whether home made or store bought, this box is flat out awesome. Highly recommend this product (we have 2 of them now!). 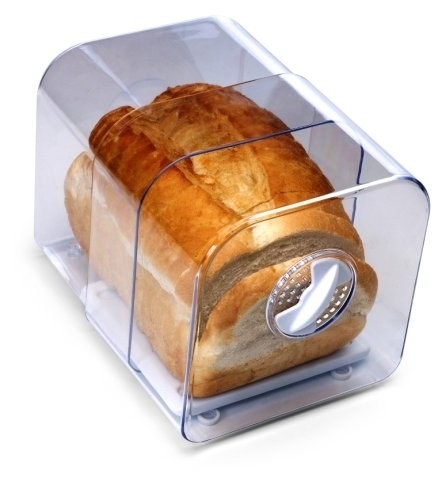 The simple design of this is what makes it the best, not to mention easy to use, easy to clean, easy to store and takes up far less room than any other bread box out there. And it continues to collapse to fit the size of the loaf as it shrinks down day after day. Get it on Amazon for $6.91. 9. A coffee jar that's not-only air-tight but also partially vacuum-sealed, so you can count on fresh AF beans every single morning. Even if you roast your own beans, or buy them freshly roasted. Several reviewers note that it's best for storing beans between three and 14 days; beyond that, you'd probably want to look into freezing options. Promising review: "This easily holds the standard 12-ounce bag, with room to spare. Not too tall for the coffee shelf and slim enough to not take up too much room. 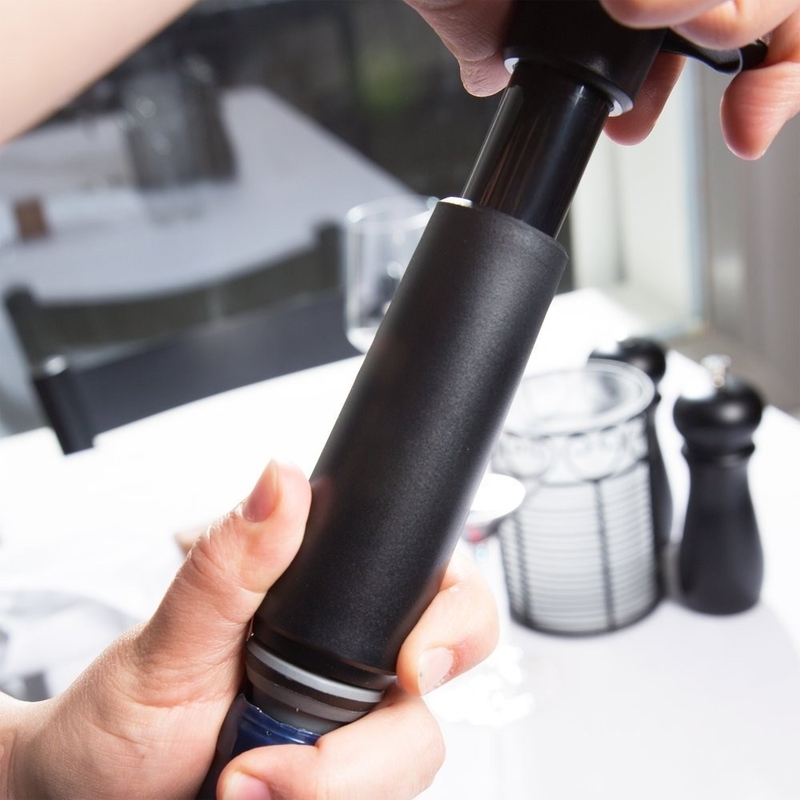 The "press the button" mechanism to slide the top on and off works well and smoothly. Easy to clean and dry off. Get it on Amazon for $14.99+ (13 colors). 10. A sweet little brown sugar bear who can revive rock-hard brown sugar and keep fresh brown sugar from ever reaching its personal stone age. I had brown sugar stored in a container and I have not been using it for a veery long time... but then the other day I suddenly felt the need to make baked apples with brown sugar and cinnamon. I went to reach for my brown sugar... and it was HARD LIKE STONE!! So I opened Google and started browsing for any possible solution to restore my brown sugar and make it soft again. I came across a website where someone made a comment about buying "Brown Sugar Bears", so I decided to try it out. I received it yesterday and opened it immediately like a little kid would open a B-Day or X-mas Gift... I was excited and curious! The little bear was smaller than expected (well, I really had no idea what to expect anyway) and SO CUTE! 1) I put it immediately in lukewarm water and let it soak for about 20-30 minutes. 2) I dried it a little with a clean towel (just for a minute to take the extra water off). 3) I placed it on top of my stone-hard sugar and closed the container again. 4) After only a couple of hours my sugar was already almost completed restored. Get it on Amazon for $5.60. 11. 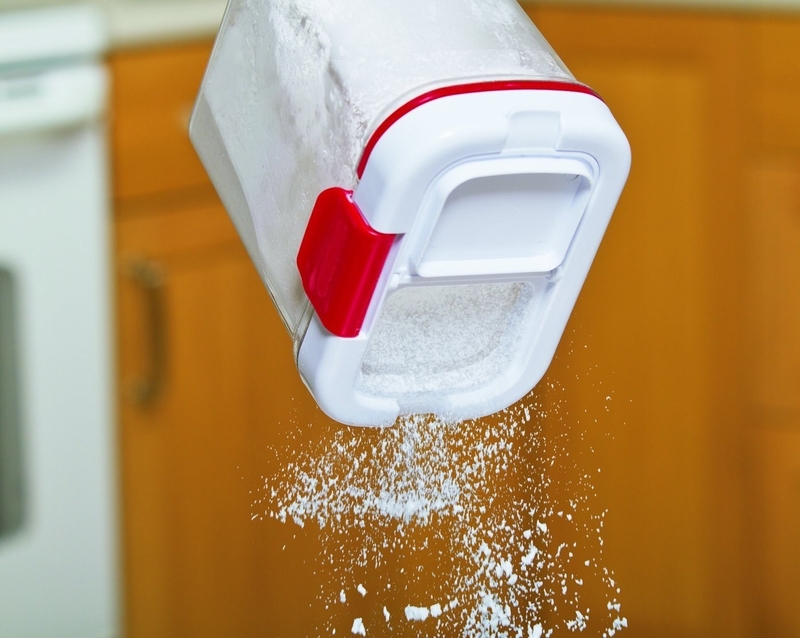 An air-tight powdered/confectioner's sugar container with a sifter in the lid, so you can easily add a dusting of sweetness to cakes, brownies, strawberries, or whatever your heart desires. 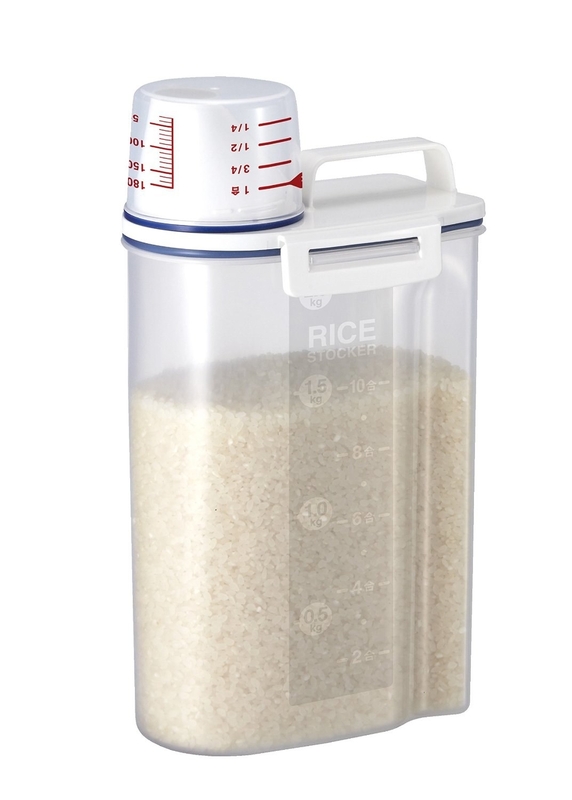 It also has a built-in leveler to help you accurately measure when you're baking. Promising review: "I always seem to have a couple of bags of powdered sugar around. Each of them partially used and open. Each tucked somewhere different. I hate disorganization in the kitchen, so I saw this and had to have it. Get it on Amazon for $8.93. 12. 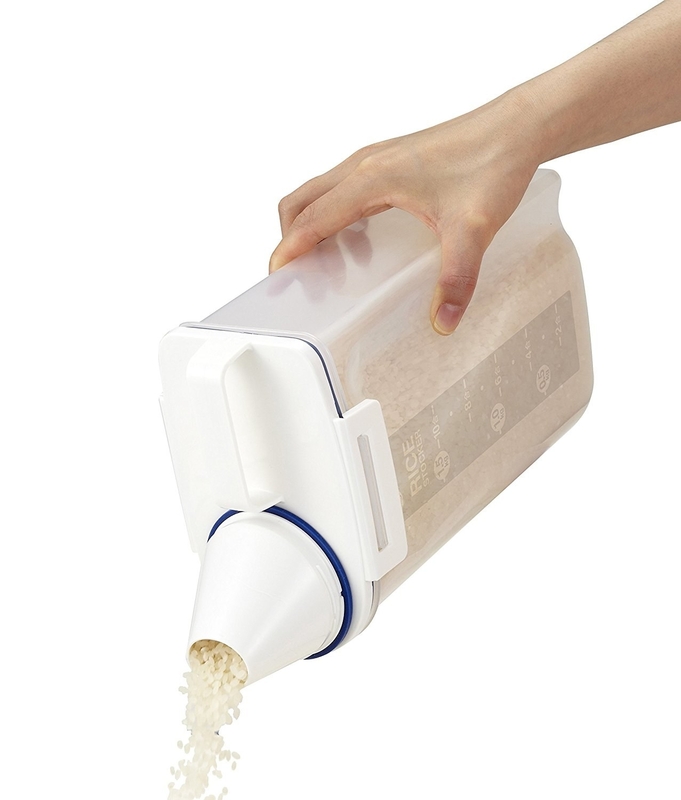 A rice stocker with a handy pouring spout and measuring-cup lid for quickly and easily measuring out exactly the amount you need. 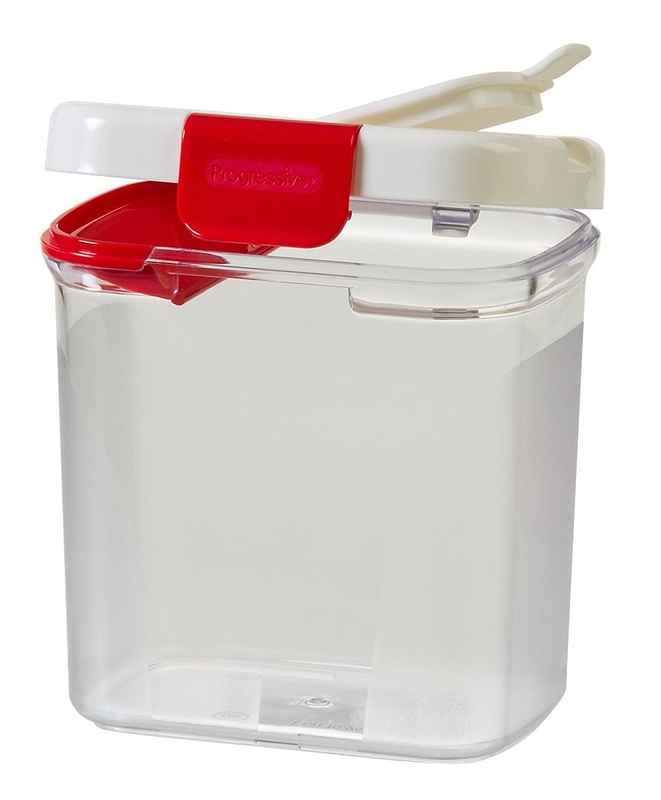 Also useful for keeping bulk cereal or other grains sealed up tight. Get one on Amazon for $9.50. 13. 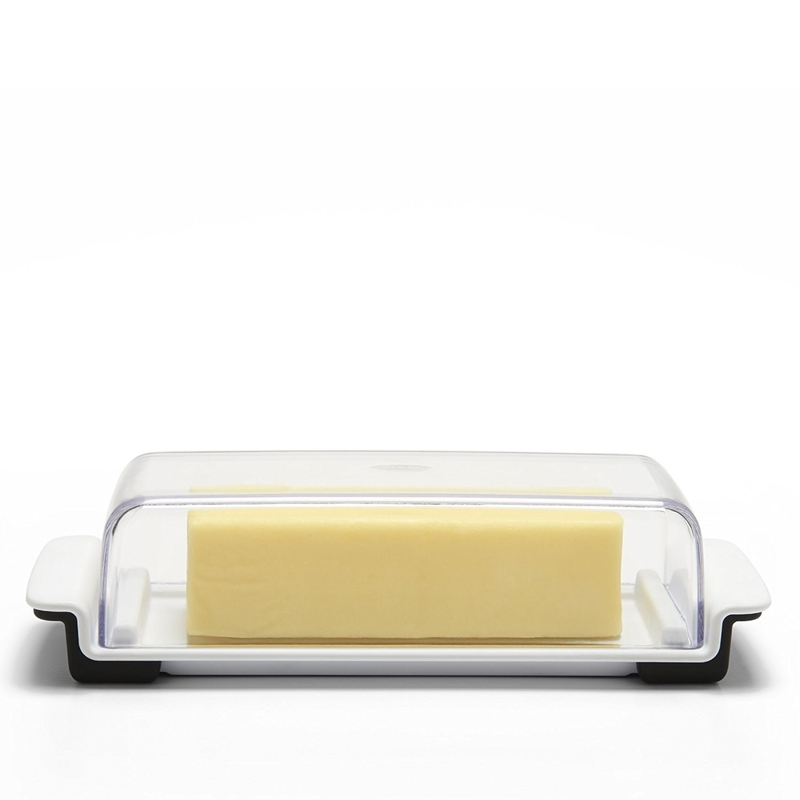 A butter dish with tablespoon markings directly on it so you can slowly make your way through a stick of butter without it A) drying out and B) absorbing all the other flavors in your fridge. AND those markings let you measure out the perfect tablespoon without keeping the wrapper on it. Promising review: "Okay, okay. I know — it's a butter dish, not a climate-controlled, IoT-Wi-Fi-enabled, WPA2-encryption-protected churned-cream receptacle or anything, but even the "simple things" in life should be recognized and appreciated when they do something right. Taking it back for a minute, please allow me to explain what my previous experiences with butter dishes were like before this one came along: basic. About as basic as they can possibly come. A simple, white, ceramic butter dish. Which was fine. 1) Let me know at a simple glance how much butter is inside. 2) Allow me to completely remove the wrapper from the butter and yet still have the ability to know where to cut for an X-Tbsp sized portion. 4) Feature a cover that helps to ensure that when I'm putting the lid back on, I'm not off-center enough to smear butter all over the edge and/or inside of it. 5) Offer little ledges that help to ensure the butter doesn't go sliding out of the dish when I'm trying to balance a plate or an armful of dinner rolls in one hand, while clumsily attempting to butter things with the other. The list goes on (I mean not really, but you get what I'm saying). * This butter dish doesn't sing either. It's still awesome, though." Get it on Amazon for $9.99 (also available as a wide-butter/cream cheese-size dish, $14.99, or stainless steel, $17.99). 14. 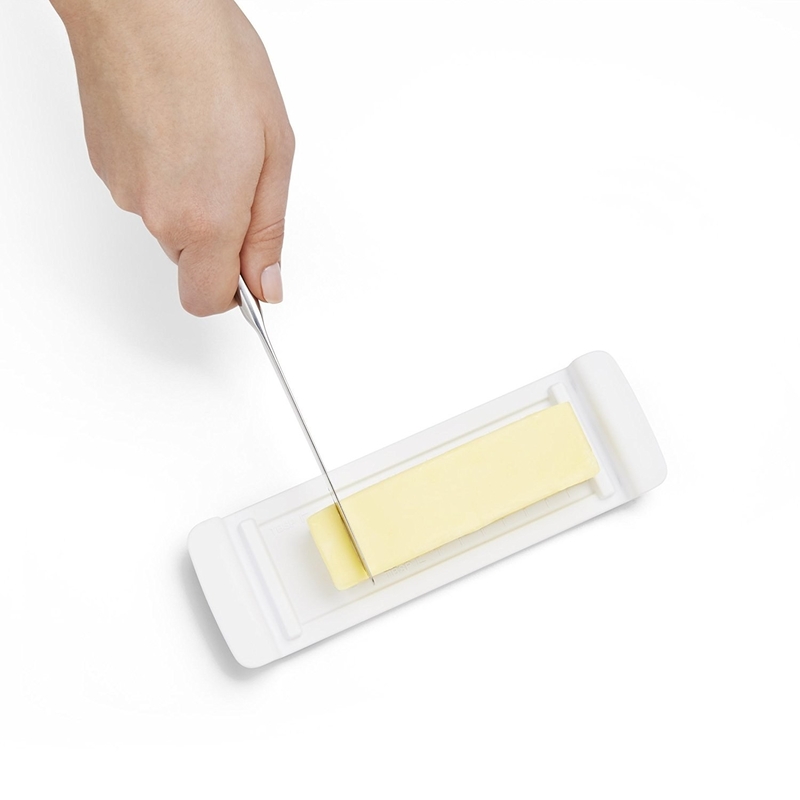 Or little caps that you can stick directly on the end of a partially-used stick of butter so THAT doesn't dry out, if you prefer to keep the wrappers on. Get one on Amazon for $5.99. 15. A cute bacon saver because sometimes you don't want to cook the full pound of bacon all at once. Get it on Amazon for $8.47. 16. A terracotta garlic keeper that absorbs some of the extra humidity around it so you can use one or two cloves and count on the rest staying fresh for several weeks. It's best to keep garlic on the counter; you can keep it in the fridge, but if you then move it out onto the counter it'll sprout! Get it on Amazon for $8.68. 17. A cake keeper because sometimes cake's a grocery, and you want to be able to enjoy a single slice each night of the week. 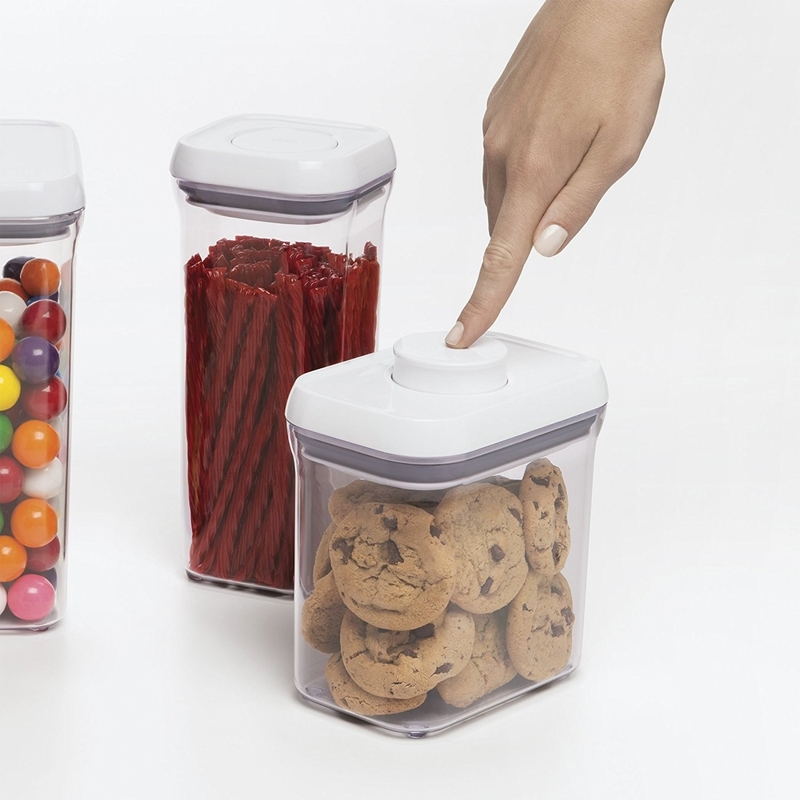 Will fit up to a 10-inch diameter cake, and is dishwasher safe! Get it on Amazon for $13.22. 18. 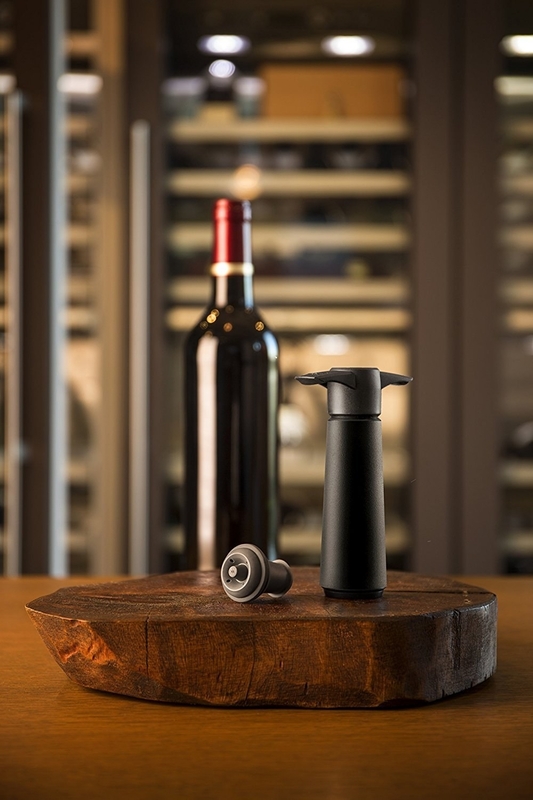 A wine saver that vacuums all the extra oxygen out of your partially-finished bottle so it still tastes delicious up to a week after you open it. You have to do the vacuuming yourself, but it's honestly not difficult at all! I've been using one for years: you just quickly wet the bottom of the stopper under the tap, stick it in the bottle, and pump until you hear a clicking noise. Promising review: "My wife loves red wine. I don't. This means that when we open a bottle, she's had to do one of two things. Get a set of one pump plus two rubber "corks" on Amazon for $12+ (available in black or white). 19. An ethylene-gas absorber shaped like an apple that sits in your fridge (or even in your fruit bowl) and extends the life of — you guessed it! Produce. 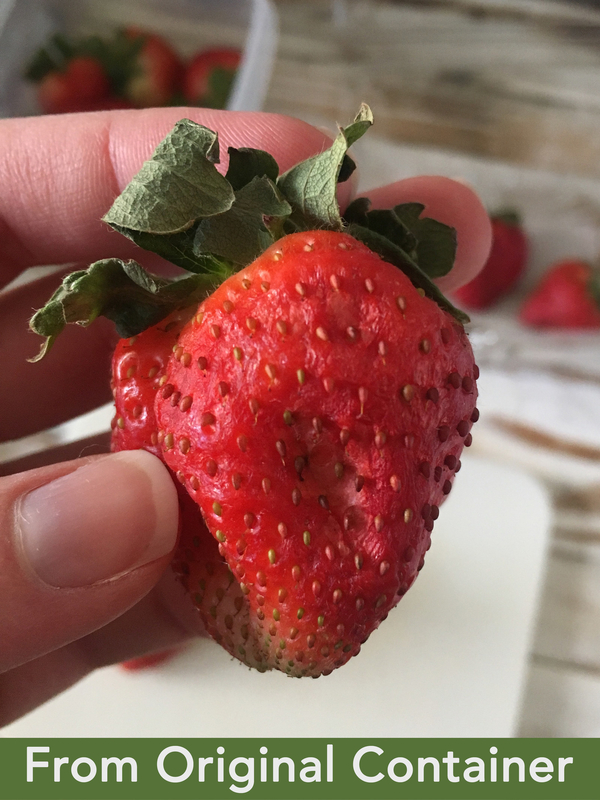 Ethylene = the gas that fruit and veggies release as they ripen (bananas are especially notorious for releasing it, which is why other fruit ripens more quickly if you put it next to bananas). Get a pack of two — enough for a full year — on Amazon for $16.95. 20. The ~Guac-Lock~, which squeezes all the air out of your guacamole so you don't have to scrape off a brown-ish layer when you go to eat the leftovers. Or bother with any other half-baked hacks that theoretically keep the oxidation at bay. Get it on Amazon for $16.10.